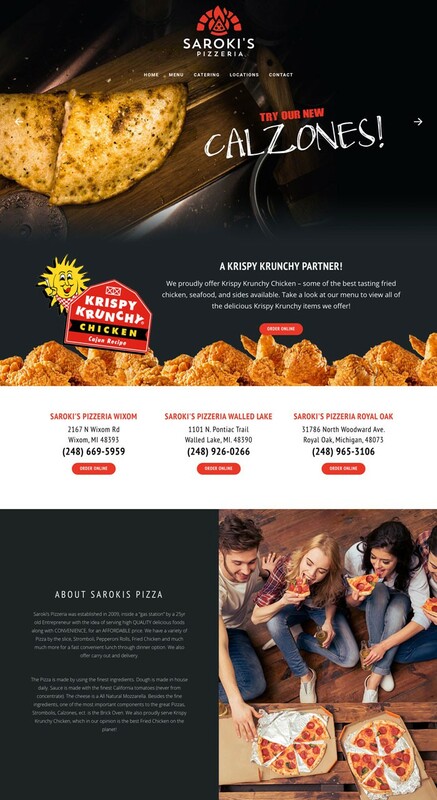 Sarokis Pizzeria started out as an HTML site that needed a bit of work. Finepoint Design rebuilt the site in WordPress with a custom responsive template, with a design that better reflected the restaurants look. We used a similar look as their existing menus and made a few adjustments for their new POS system for online orders. Saroki’s will be continuing to expand beyond their 3 current locations in Royal Oak, Walled Lake and Wixom and their website will continue to grow with them.